by Stephanie Nieuwoudt Its critics want the SABC to give voice to the concerns of the marginalised. CAPE TOWN, Feb 3 (IPS) - A powerful coalition of civic organisations is calling for a complete overhaul of the legal framework of the South African Broadcasting Corporation (SABC) to force it to fulfil its public broadcasting mandate. At a meeting on Jan. 29, the Save our SABC Coalition said they would step up their focus on the SABC Amendment Bill that is awaiting the signature of President Kgalema Motlanthe. However, the coalition is also lobbying for a separate, new SABC Act which addresses programming content and issues like board appointments, transparency and funding models. The coalition includes the Freedom of Expression Institute (FXI), Media Monitoring Africa, trade unions under the umbrella of union federation Cosatu, the Treatment Action Campaign – a coalition fighting for the rights of HIV positive people – and independent producers. "As a coalition we want to see a clearly drafted SABC charter," Kate Skinner, a media consultant and co-ordinator of the coalition, told IPS. "We want a new, clear and renewable charter drawn up. It should be renewed around every five years." Jane Duncan, executive director of the FXI, says the SABC is not fulfilling its public broadcasting mandate to give voice to the concerns of the marginalised, including the gay and lesbian community, women, rural people and the very poor. "The national broadcaster should give them a platform for their voices to be heard. This is part of participatory democracy. A green paper/white paper process will allow civil society the chance to engage with proposed legislation through public hearings. It is the responsibility of the national department of communication to widely publicise such a green paper process and to encourage public hearings," Duncan said. William Bird, director of Media Monitoring Africa, an organisation that promotes a free, fair and critical media on the continent, says that the SABC is a critical institution for democracy. "It should be the epitome of freedom of expression and not the subject of reports about freedom of expression abuses. The majority of South Africans are dependent on the SABC as the medium to inform them on a variety of issues." Rehad Desai, chairperson of the South African Screen Federation, told IPS his organisation, through the coalition, hopes to lobby the SABC to promote and inculcate values that are in the constitution. "There are a whole range of important values, including care for all citizens, from pensioners and children to prisoners and their wives, to address homophobia and to give a voice to the poor. 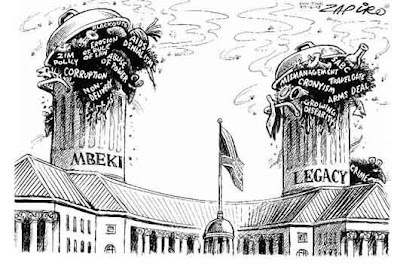 South Africa is a society in transition and there are big controversies out there. These should be addressed by the public broadcaster to help stabilise the democracy and to ensure a plurality of voices are heard." According to Desai it can be achieved by awarding contracts to diverse production companies that can deliver content that reflects the different voices. "A culture of accountability and transparency needs to be inculcated. Currently contracts awarded to production companies are often draconian and the artists do not have a lot of freedom. These issues need to be addressed and legislated in the proposed SABC Act." For years now, the SABC has been dogged by financial problems, power struggles amongst its top executives and allegations of corruption. The CEO, Dali Mpofu, was again dismissed on Jan. 22 following a protracted internal battle and legal wrangle with the corporation. Mpofu was first removed after he suspended SABC news chief Snuki Zikalala for allegedly leaking confidential documents and information in 2008. Zikalala, who has since been reinstated, was also at the centre of the 2006 controversy in which he was found to have blacklisted commentators critical of then President Thabo Mbeki. "The SABC board is supposed to be independent, but because of the commercial arm, the minister of broadcasting has become a shareholder in the company. It has given her certain rights and responsibilities towards the board, and this overrides the independence of the board. The three top executives - the CEO, the Chief Operating Officer and the Chief Financial Officer - are now under direct control of the minister," a situation Duncan describes as "extremely inappropriate" for the national broadcaster.